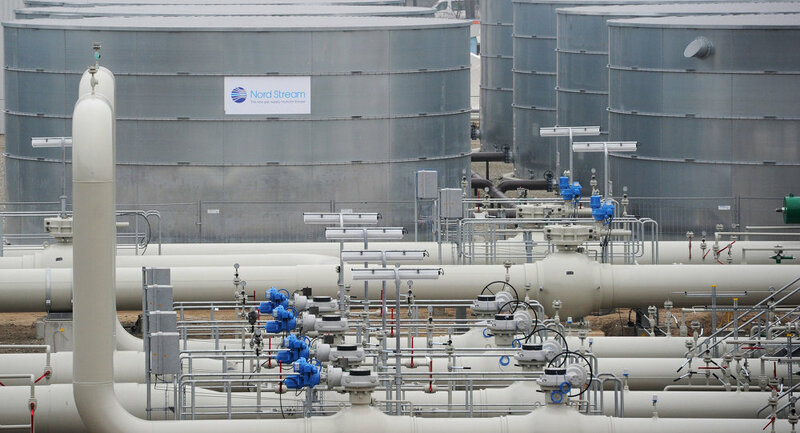 The second leg of the Nord Stream pipeline that is meant to deliver Russian natural gas to Europe while bypassing the existing transit countries will be launched on October 8, President Vladimir Putin said. Russian gas giant Gazprom announced the completion of the welding of the last joint on the pipeline’s second leg on August 29. The first leg of the pipeline, which connects Russia and Germany, was launched in November 2011 and runs along the Baltic Sea bed. It has an annual capacity of 27.5 billion cubic meters of gas. Putin, who will celebrate his 60th birthday the day before the launch, also said he expects Gazprom and the European Commission to resolve their conflict as soon as possible. Last week the European Commission launched a probe into three suspected violations of anti-monopoly regulations by Russia’s gas giant in Central and Eastern Europe, which could affect Gazprom’s $60 billion gas export business in Europe. “I would like the European Commission to clarify all the issues that remain unclear as soon as possible, so that we could continue working together,” the president said. Gazprom could face a fine of up to ten percent of its annual revenue - about ten billion euro - if the suspected violations are proved. Gazprom's Spokesman Sergei Kuprianov said earlier that the probe was an effort by the EC to pressure Russia into lowering gas prices.